There are some movies out there in which the clothing mixes so perfectly with the idea and the setting of the movie, that it’s hard not to notice it, especially if you have and eye for fashion. 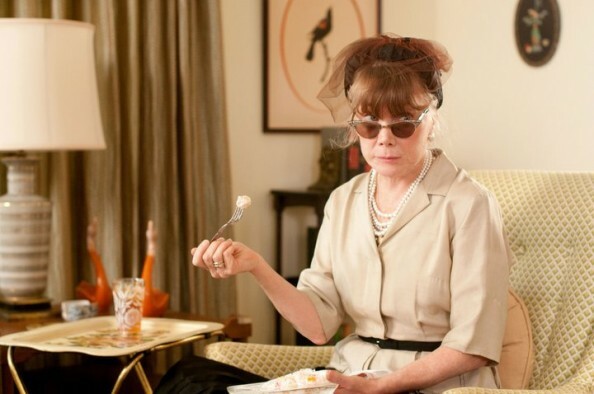 It happens to be like this with the movie The Help, whose plot is far from fashion. The outfits are however worth paying attention to as the story unfolds, for the accuracy and aesthetics in which the 1960s era is presented. 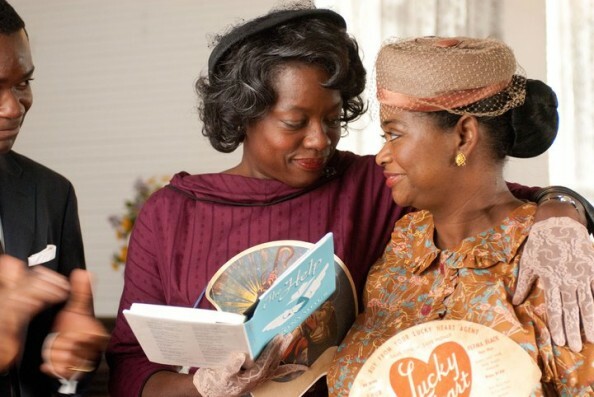 Besides being a great adaptation of the best selling book by Kathryn Stocket, The Help is also an emotional and beautiful story, with a well written script and and some outstanding performances. It portrays the 1960s as seen in the perspective of the Civil Rights movement. Set in Jackson, Mississippi, the movie follows Eugene ‘Skeeter’ – unexpectedly well played by Emma Stone, a recent graduate who returns in her hometown. More of a tomboy, than a feminine character, she’s decided to become more than a housewife and not follow the predictable lifestyle set by the society. Eager to pursue a career in journalism and in the meantime bothered by the way African-American maids are treated by the white families for which they’re working, she decides to write a book narrating their stories. Academy-Awards nominee costume designer Sharon Davis managed to revive the colored style of the 1960s fashion, not in the glamorous way as it is presented in Mad Men, but in a rather provincial way, as seen in the South. After all, the housewives were dressing up for bridge. The designer did a great job picking the right colors, the vintage fabrics and the right accessories, like the signature element of the cat glasses, or the gloves and head wear. Apparently the most unfeminine, rather carrying the air of a boy, the main character, Skeeter makes a statement through her simple choices. She’s not going for the heels, but her earth toned and simple, straight, business like dresses complete the feminism that her opinions and initiatives carry. She’s an interesting mix, not only from the point of view of fashion. Personally, the hair does not fit with the rest of the outfits and the era. Small curls were definitely not trending at the time, but this is explained by the reckless attitude of the character towards personal looks. On the opposite edge of the story, Skeeter’s bridge friends don’t share the same opinions and her standing out of the crowd is faced with hostility. The puffy dresses, full skirts, colored outfits and floral prints are the main signature for the typical housewives conforming the cliches of the society. One character particularly stands out as a contradictory combination. Hilly Holbrook (Bryce Dallas Howard) may inspires beauty and brightness through the pastels, but her actions and opinions show the exact opposite. 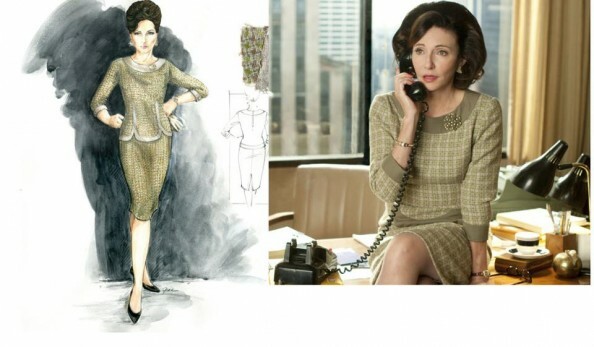 She kind of reminds me of Betty Draper in Mad Men, with a little less drama and a little more evil. Dressing up the maids was no easy job either. 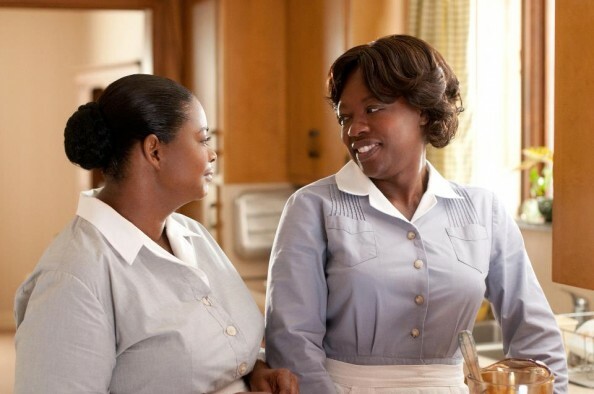 For the two protagonists, Aibileen Clark (Viola Davis) and Minny Jackson (Octavia Spencer), Sharon Davis used grey and white uniforms that are fitted to each character’s personality. As church played an important role in the maids lives during that period, a colorful light is shed on the two ladies while in their church outfits. They do however go for more reserved tones and accessories like gloves or chic hats. And as every movie about the 1960s includes a curvy blonde which resembles Marylin Monroe, the Help is no exception. Just like Joan Holloway in Mad Men, here the role is played by Celia Foote (Jessica Chastain), a newcomer rejected by the bridge playing society. Her outfits are a bit risky for the era, quite the opposite than the one adopted by the traditional housewives, but she was definitely the most fun to watch. Although the 60s have been revived several times until now both in fashion and in movies, it’s impressive how the designer managed to recreate the fashion in the context of the historical events and how well the fashion choice blends with the character’s personality. Which character’s outfits do you enjoy best?